Ever found yourself with your back against a wall, trying to disengage yourself from a one-sided debate with one of your liberal acquaintances? How many times have you been irrefutably right on a matter and yet, unable to convince the other person? Tired of being "shot down" in arguments by your "slightly to the left" friends? If so, this book will teach, empower and equip you to win these discussions and, at the same time, not lose your friends. In fact, you could even convert some of them. Sound impossible? Not at all, if you are willing to practice what you learn and improve your ability to communicate. You can be a more effective spokesman for our Nation, if you really wish to be. Bill has a unique ability to deconstruct the ploys that leftists use to change the discussion and distort facts to put conservatives on the defensive. 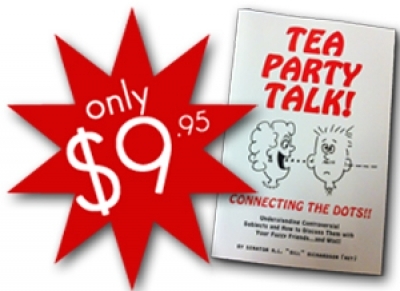 I know that what you learn in this book will be helpful as you seek to convince you neighbors to support constitutional, fiscally responsible government in the upcoming presidential election.